Though it was very much a “junior edition,” the Series 60 Cadillac was no less a Cadillac than its larger linemates -- which would prove to be an enormous sales advantage. The engine was a smaller version of the one used in the big Series 70 Cadillacs and 75 V-8 cars: 322 cubic-inch, 3.38 × 4.50-inch bore and stroke dimensions, and 125-horsepower, compared with 346-cubic-inch, 3.50 × 4.50-inch bore/stroke, and 135-horsepower. It drove through a redesigned transmission that was so smooth, fast-shifting, and durable that it would become a prime favorite among hotrodders. “Knee-Action” independent front suspension was still something of a novelty in 1936, even in the luxury field, but the Series 60 Cadillac had it, a noteworthy sales point for passenger comfort. Another event took place in 1936 that would brighten the division’s fortunes even more: the arrival of 23-year-old William L. Mitchell to head the Cadillac design studio. What Cadillac had here was an entirely new kind of automobile: a high-quality, high-prestige package of compact dimensions, fast and powerful, easy to handle, and priced within reach of many Buick and Chrysler buyers. Predictably, the Series 60 brightened Cadillac’s fortunes in a way the LaSalle by itself could not. Sales went up by an astounding 254 percent, with the new line accounting for more than half of Cadillac’s model year production. The new, more stylish Cadillacs helped boost GM sales by 254 percent. In January of that year, Mitchell’s mentor assigned him to create another new model using the Series 60 Cadillac as its basis, but roomier, more luxurious, and more stylish by far than any previous Cadillac. The result was announced less than two years later. A predictive design with features that would be quickly copied by the rest of GM -- and the industry -- the Sixty-Special was a masterpiece that made everything else on the road old-fashioned. In a word, yes -- which is precisely why it had Harley Earl’s enthusiastic endorsement. It was the sort of car that could only come from a younger designer: sporty yet sober, advanced yet appealing. It was an entirely new concept: the total car, with each design element fully and tastefully matched to all the others. Corporate brass had a few apprehensions about the daring new Sixty-Special Cadillac. “Was it too startling for our price class, too rakish for our reputation?” In a word, yes -- but it was a total design. 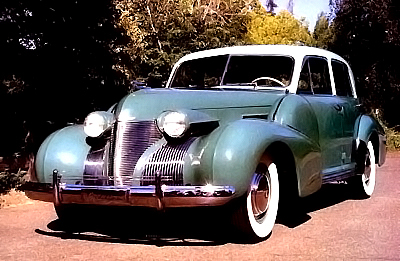 Read on the learn about the daring 1938 Sixty-Special and how it was affected by the "Roosevelt Recession."